The article observes several historical, present-day and possible forms of the idea of the geographical west-east line. It is stated that formation of the future depends on the chosen way of objective imagination. The long-term vision of the future connection between West and East is proposed. KAPUSTIN, Petr. West East: Imagining the Line. 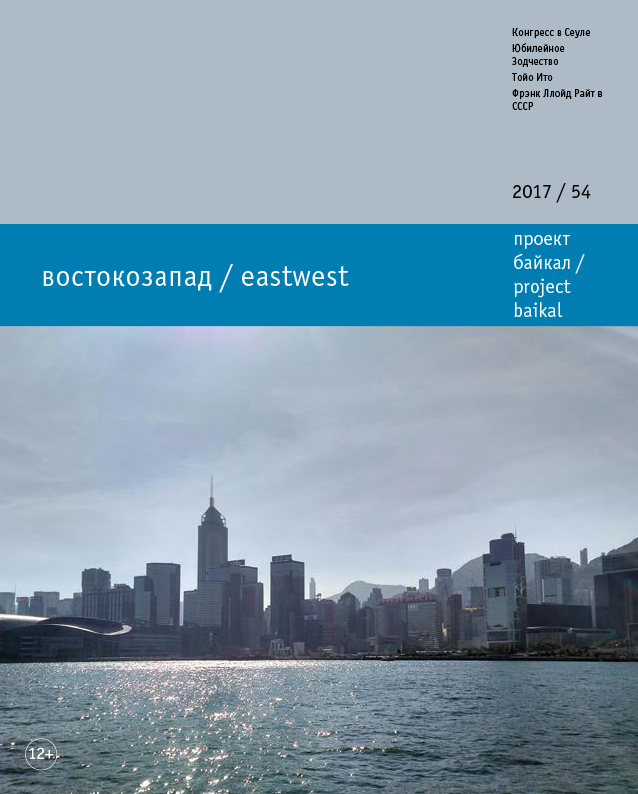 project baikal, Russian Federation, n. 54, p. 66-70, dec. 2017. ISSN 2309-3072. Available at: <http://www.projectbaikal.com/index.php/pb/article/view/1251>. Date accessed: 18 apr. 2019. doi: https://doi.org/10.7480/projectbaikal.54.1251. West; East; regions; geoline; forms of the idea of the line; metaphors and images in development management.